Do you write for pay or pleasure? Do you own an iPad? This concise guide is packed with valuable tips, app recommendations, workflow solutions, and first-hand advice from seasoned, professional writers for integrating the iPad into your writing life. 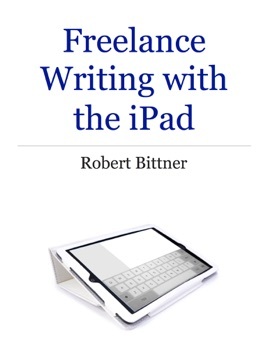 “I believe the iPad can be an invaluable tool for freelance writers,” says author Robert Bittner, “whether you’re using it for research, rough drafts, or a final polished article, book proposal, novel – whatever – for your editor or agent.” In short, it’s a book for every freelance writer who owns (or is thinking about buying) an iPad and wants to wring the most out of it for her or his writing – whether writing is a hobby, a passion, a part-time money-maker, or a full-time career. Robert Bittner is a full-time freelancer who has published six books and hundreds of magazine articles. His work has appeared in a wide range of publications, including Family Circle, Preservation, The Chicago Tribune Magazine, American Profile, US Airways’ Attaché, PAGES, Writer’s Digest, and The Writer. 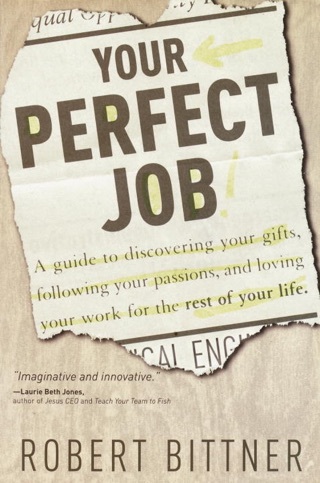 His books include Your Perfect Job: A Guide for Discovering Your Gifts, Following Your Passion, and Loving Your Work for the Rest of Your Life (Shaw Books/Random House) and The Complete Idiot’s Guide to Faith (Alpha Books/Penguin). He is a member and former president of ASJA, the American Society of Journalists & Authors. Freelance Writing with the iPad is his first digital-only publication.